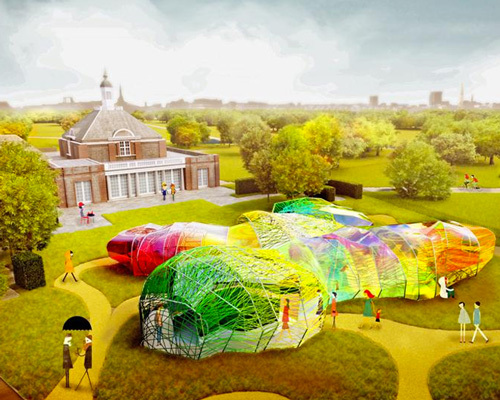 spanish architects selgascano have revealed initial images detailing their design for this year’s serpentine pavilion. 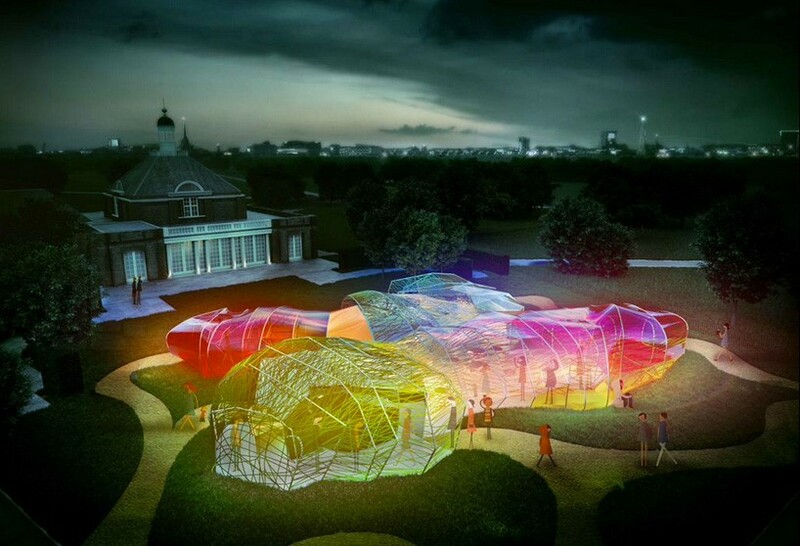 headed by josé selgas and lucía cano, the studio are the first spanish firm to be asked to complete the temporary structure, which sits each year on the serpentine’s lawn in london’s kensington gardens. 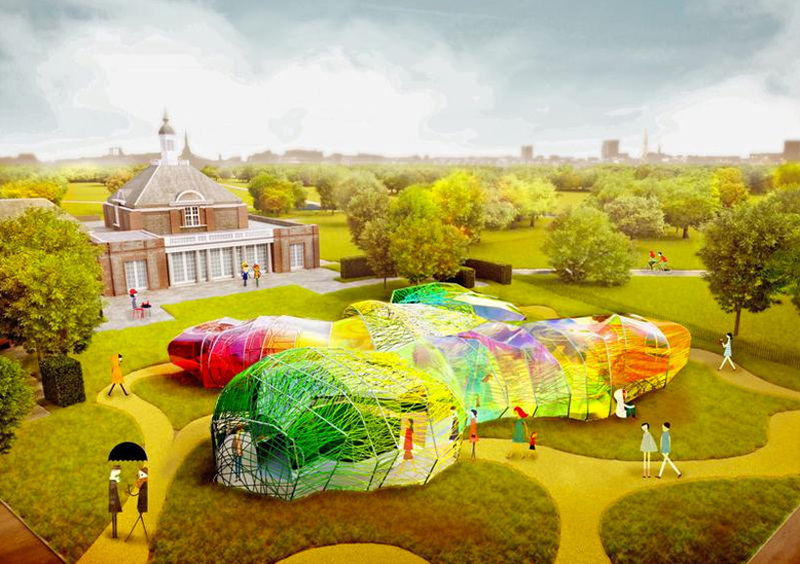 the vibrant structure takes the form of a chrysalis, allowing guests to enter inside the colorful cocoon. the pavilion, engineered by aecom, is to be constructed from opaque and translucent fluorine-based plastic panels woven into and wrapped in the structure’s webbing. at the heart of the scheme is an open space for gathering as well as a café. it is expected that the pavilion will remain open to the public from june 25th to october 18, 2015. for designboom’s previous coverage of the 2015 serpentine pavilion, see here.